Funk is an easy going shoe. SAS Flex™ technology keeps the shoe light, flexible and airport friendly. The removable footbed and TRIPAD® Technology delivers plush comfort. Funk also gives you a customized fit with its adjustable toggle and elastic cord. Designed to fit and follow the shape of your foot on an exclusive SAS Foot-Shape® last. 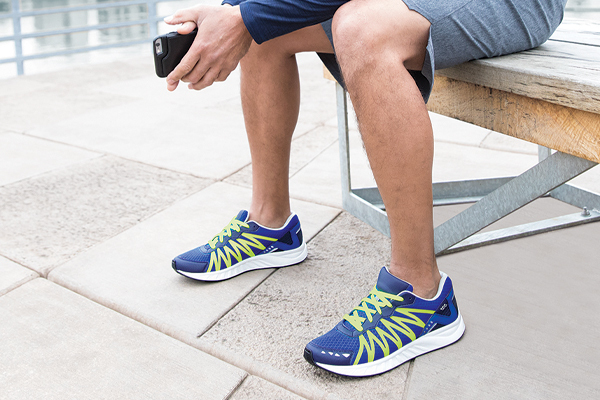 The SAS Flex™ construction and Tripad® Technology gives this unstructured, soft, lightweight shoe, ultra-great flexibility, all-day comfort and is easy to take on and off. Initial fit should be wide enough to stay comfortable across the ball of the foot and roomy enough in front so the toes are not cramped.